During an eyelash extensions application, it is important to note that not every type of lash glue can be used to apply strip lashes. Strip lash extensions are the lashes that will be applied starting from the innermost part of eye towards the outermost corner in one strip. Strip lash glue can be used to apply both strip and individual lashes though they are made for use during the application of strip lashes. This glue is able to last for as long as you want, including an occasion that will last for a few hours after which you will remove the lashes. Individual eyelash extension glue on the other hand is used in the application of individual lashes only. It should not at any time be used for the application of strip lash extensions. 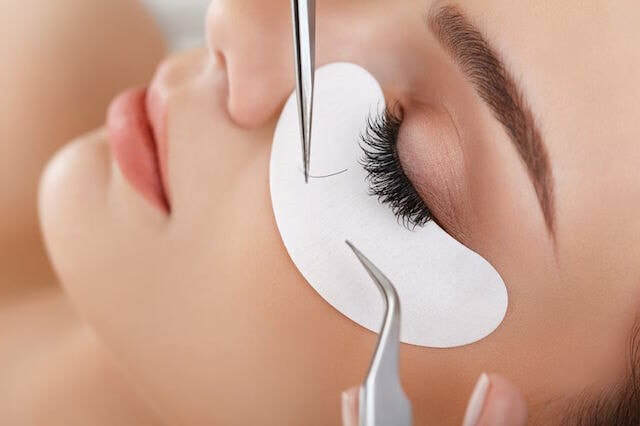 Individual lash should be only cling to the natural lashes without touching the skin and it will be able to last for several weeks or even months, depending on how the lashes will be maintained. Unlike the strip lash glue that can even be removed an hour after application, individual lash extension glue is quite difficult to remove and you will need to use a remover that is specially made for the removal of individual lash glue. If you are not sure about the type of lashes you will be applying, the best glue in this instance would be the strip lash glue as it can be used to apply all lash extensions. Individual lash glue is only meant for use when applying individual lash extensions. Never try to experiment with individual lash extension glue as it will not be easy to remove and you have to use a lot of effort to remove the lashes. A professional esthetician should be able to guide you on the best glue to use during the lash application.